While you are working with your computer or laptop, you may delete certain files that are really important to you unintentionally. What’s worse, it is very possible that you empty the Recycle Bin at the same time to free up disk space, making it impossible to restore deleted file from Recycle Bin. Never mind if files are deleted by mistake, there are solutions that can assist you restore deleted data. How do you understand the Recycle Bin? The main function can be comprehended from its name which implies that deleted files are recoverable from it. It works like a temporary holding area where all deleted files and folders (excluding those files deleted from USB drives, such flash drive, memory card, etc.) can be reviewed and even restored by users before these files are further deleted and cleared from Recycle Bin. In fact, only file name and directory are moved to the Recycle Bin, and hard drive sectors taken by the files don’t change, so you can’t see the file from its original location. When you restore files from Recycle Bin, the deleted will be restored to the original place, that’s because the file directory is restored. If the Recycle Bin gets emptied, users have nowhere to restore deleted files, and they’ll ask help from hard disk recovery software. If you search for solution online, you can see many promotions that advise to choose recovery services. But these sort of services are expensive, unnecessary and sometimes insecure because of the fact that there is efficient and free hard drive recovery software you can use to perform Recycle Bin recovery and restore deleted files by yourself. Some programs are for free and some shareware is priced reasonably. 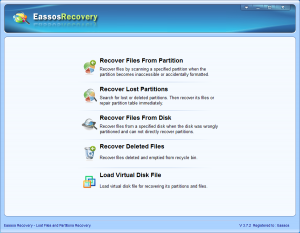 Eassos Recovery is cost-effective and reliable hard drive recovery software, which can do the entire file recovery task for your. It has a trial version which can be obtained from its website for free. Let’s see the simple guide of recovering deleted Recycle Bin files. 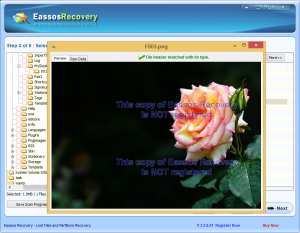 Step 1: Download and install the trial version of this recovery software. 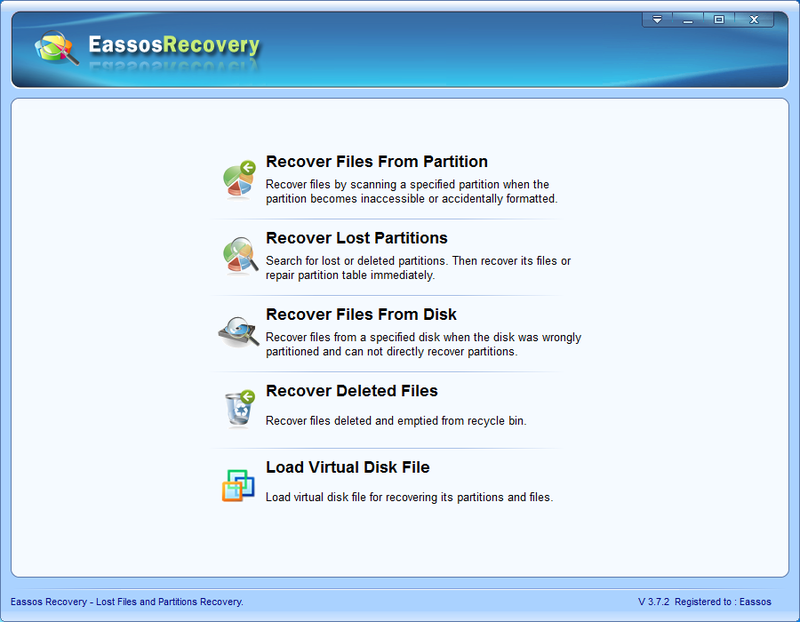 Step 2: Run Eassos Recovery and choose the option “Recover Deleted Files” from the wizard interface. Step 3: Select the partition or drive which held deleted data and click “Next” to scan files. Step 4: Files preview and recovery. Once file scanning is done, you can select files you want and save them to another safe location. Make sure that you check files in the Recycle Bin before you empty it. Backup files that are important to you and update the backup in time. 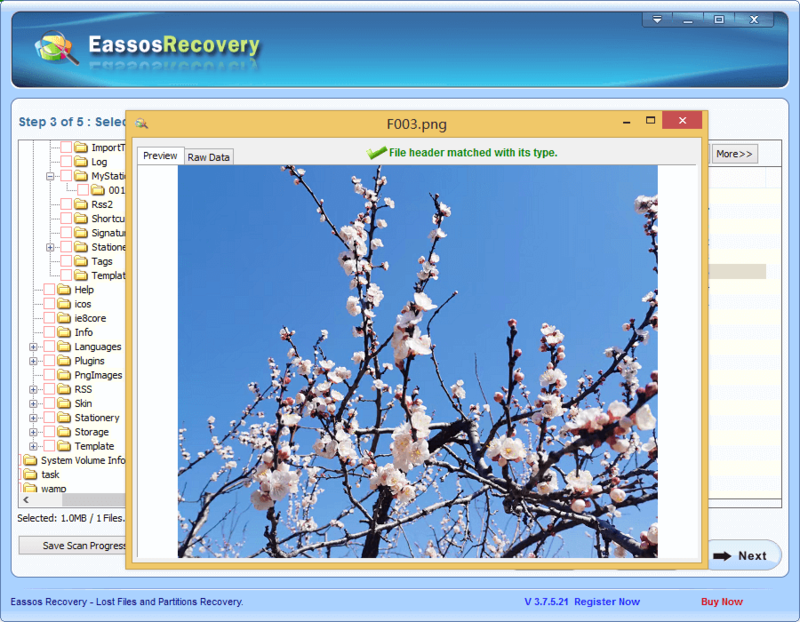 This entry was posted in Data Recovery and tagged hard drive recovery software, Recycle Bin recovery, Restore deleted files by EASSOS. Bookmark the permalink.